This past weekend my son went to a 5th birthday party for his friend, but instead of bringing a present for the Birthday Boy, he brought a bathing suit that will be donated along with a sackful of others to children who until now didn’t own a bathing suit of their own. My friend Bridget started a tradition in her family where her boys choose a charity to collect items for in lieu of gifts at their birthday parties. I was so ImPrEsSeD with the uniqueness of this idea that I had to share it with all of you! I hope it will touch your HeArTs as it has mine and that maybe you will start a similar tradition with your children as I plan to do with my kids in the future! 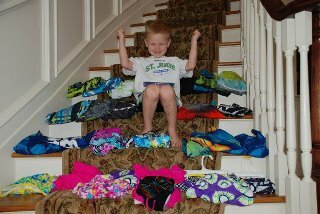 Cael with all of the bathing suits he is donating to the children who attend Camp Hope NJ! RoByN: What first gave you the idea to collect something for charity in lieu of gifts at your kid’s birthday parties? BrIdGeT: The idea really came just because they have so many toys and what more could they possibly get??? We like to have big parties, but I (selfishly) couldn’t stand the thought of another 20+ toys in the house. RoByN: Did your boys give you a hard time at first? BrIdGeT: They never had a problem with it (surprisingly). They are given a choice of a big party with donations or a special birthday experience with 2 friends. They always choose the party. We then take some time to find a charity that they are excited about donating to. 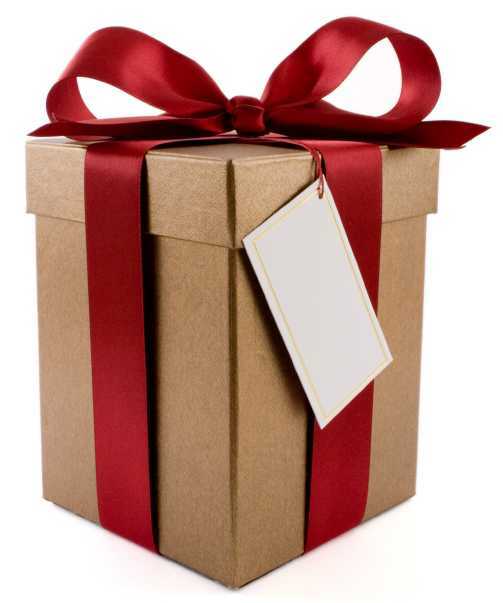 Of course, they still get presents from us and our families. RoByN: How did you hear about Kids4Kids Project Camp Hope, the camp that your son chose to collect swim suits for at his recent birthday party? BrIdGeT: We heard about Kids4Kids Camp Hope through my older son’s school. They were collecting suits this spring for the camp and it seemed to be a great fit for a summer birthday. RoByN: What other charities have you donated to in the past for others who are looking for ideas to get started? BrIdGeT: We have donated to The Pajama Program, Toys for Tots, and I also looked into toy donations for The Valerie Fund. RoByN: What do you hope the children attending the parties will learn from bringing something for someone in need? BrIdGeT: My kids have learned that it actually makes them pretty happy to help other people. It’s the reminder they need once in a while to show them how fortunate they truly are. There are so many great charities that the kids can relate to so that they are excited when the donations come in. Cael was so happy yesterday to see that someone donated an Angry Birds bathing suit! So I’m hoping other kids will learn that giving to others can also make them pretty happy too!